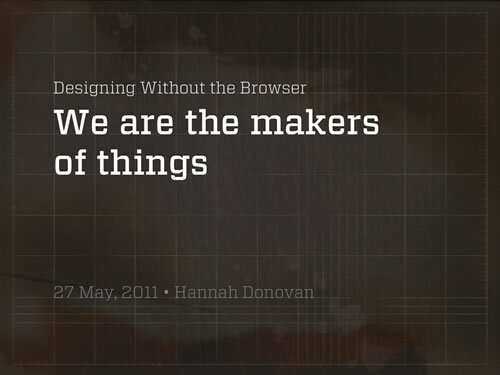 From a Web Directions @Media London talk, interaction designer Hannah Donovan, helps her audience to understand the skills interaction designers will need in the future. Really great looking slides. Note to self: buy Vitesse. wish i could see it presented, as it was obviously designed for live presentation. a bit heavy in graphics, but well designed with great custom work.